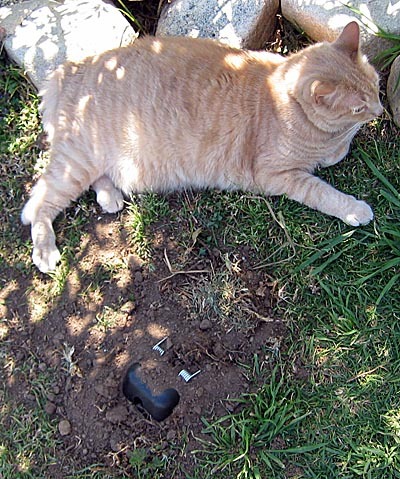 It is no wonder the gopher trap lies empty. 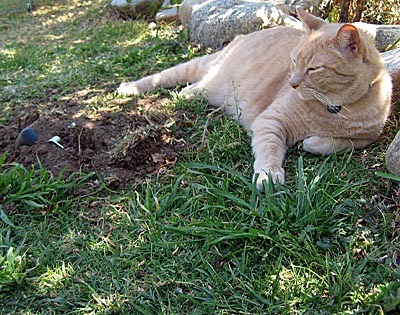 And in the last pic, Jeff has not become lazy, never – he is just feigning a nap so unsuspecting gopher will come his way. Clever, Jeff. Surely Jeff views the gopher trap as a retirement aid? An easy-kill retirement aid. Happy Easter Jeff and Staff! Jeff, man, what happened? They moved you, kept you indoors, and now you just lie there? What happend to the killing? The disembowling? And no offense, but you’ve put on some weight. Passive hunting method=Fat Jeff! Still, incredibly handsome. 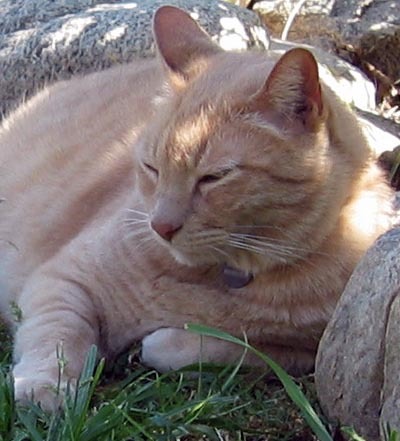 Jeffy Senior isn’t fat…he just has big cat bones. Pleasantly plump.